Vic Armstrong, former James Bond stuntman and second unit director, was interviewed by NPR on May 18 about his new book. He talked about how a fellow stuntman, who was working on 2001: A Space Odyessey and unable to get away from it, helped him get a job on You Only Live Twice, his first 007 film. From that rather humble beginning (Armstrong figures he got about $100 a week on You Only Live Twice), he would eventually be put in charge of Bond’s action unit. As a second unit director (on Tomorrow Never Dies, The World Is Not Enough and Die Another Day), he was responsible for tens of millions of dollars. Armstrong also did many other films, including doubling for Harrison Ford’s Indiana Jones and Christopher Reeve’s Superman. In the NPR interview, Armstrong says Yakima Canutt was the greatest stuntman of all time (he did a memorable stunt in 1939’s Stagecoach and staged the chariot race in 1959’s Ben Hur), while also favorably mentioning long time 007 stunt arranger Bob Simmons and George Leech, another veteran 007 stuntman (and Armstrong’s father-in-law). Such connection would be second-unit director and stunt arranger Vic Armstrong. Armstrong’s involvement with the Bond film series goes back to 1967’s You Only Live Twice, where he was a stuntman. 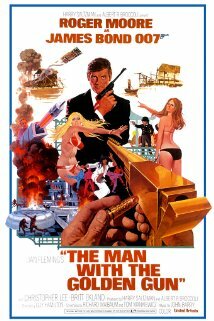 Two years later, he worked for his father-in-law, George Leech, who was the stunt arranger for On Her Majesty’s Secret Service. Armstrong made his biggest impact on the 007 film series as second unit director for three of four Pierce Brosnan’s Bond films, Tomorrow Never Dies, The World Is Not Enough (where, in a commentary track on the DVD, he said he sought to evoke OHMSS) and Die Another Day. Armstrong also represents an era of the 007 series when families were major contributors to the Bond series, not just the Broccoli-Wilson family that runs Eon Productions. The Lamonts (led by art department whiz Peter Lamont), the Leech-Armstrong clan and the Broccoli-Wilson family (led by current Eon bosses Michael G. Wilson and Barbara Broccoli) all had a major impact on the James Bond film series. Armstrong, though, hasn’t been involved since 2002’s Die Another Day and George Leech is long retired.